NASHVILLE, Tenn.— Louisiana-Pacific Corporation (LP) has announced that Alan Haughie has been named executive vice president and chief financial officer. Haughie brings more than 25 years of financial expertise and strategic planning leadership experience to LP. 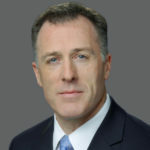 He most recently served as senior vice president and CFO of ServiceMaster Global Holdings Inc., a provider of essential residential and commercial services. “After conducting a thorough search process, we are pleased to welcome an executive of Alan’s caliber to the LP management team. His strong financial background and leadership experience paired with his commitment to driving profitable growth and value creation make him the ideal person for the role. We are confident that Alan will be an asset to our team as we continue executing on our strategic transformation into a leading building solutions provider,” Brad Southern, LP chief executive officer, said. “On behalf of the Board and management team, I want to thank Mike for assuming the role of interim CFO and overseeing a seamless transition of responsibilities. We look forward to LP continuing to benefit from Mike’s financial expertise and strategic insight,” Southern said.